For a number of years, adopting from Ethiopia has been a popular choice for adoptive parents interested in adopting from Africa. Yet, in recent years there has been a sharp decline in the number of adoptions taking place in Ethiopia and many families are experiencing significant delays. We also anticipate a decline in adoptions from the Democratic Republic of Congo due to the length of the temporary suspension on adoption from that country. We are seeing that non-Hague African countries are experiencing difficulties, especially as the international community pushes for Hague standards to be implemented even in non-Hague countries. We often hear from families looking to meet the needs of children in Africa, and for good reason. Children residing in orphanages in Africa are subject to some of the worst conditions, due to lack of resources and poor living conditions. To assist our families who are seeking to provide a family to an orphaned child and seeking more stability in their international adoption process, MLJ Adoptions has established an inter-country adoption program in another African nation, Burkina Faso, in an effort to meet the needs of children from that country. Ethiopia, once one of the top five countries from which adoptive parents choose to adopt their children, has seen a marked decrease in its adoption numbers in recent years. After experiencing an all-time high of 2511 adoptions in 2010, by 2013, Ethiopia’s number had decreased to only 993. During this time the Ethiopian government has intensified its regulation of local orphanages and provided instruction on determining when and whether a child should be eligible for adoption. The Pre-Adoption Immigration Review (PAIR) program has been implemented in Ethiopia. This program requires that prospective adoptive parents receive a preliminary determination on the child’s likely immigration eligibility from USCIS prior to filing an adoption case with a court. The investigation into the child to be adopted (sometimes referred to as the orphan investigation) occurs at an earlier stage of the adoption process in Ethiopia. PAIR is a process that mirrors the Hague process, where the US must approve the adoption before the adoption occurs in the country. 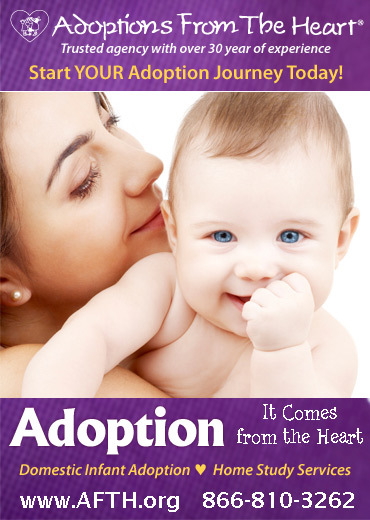 While the PAIR program is intended to improve the adoption process, the hard truth is that the adoption process, which can already be a long, complicated one, is slowed down to an even greater degree. Children in need of families are forced to wait even longer than they would have waited under previous circumstances. Burkina Faso is already a Hague Convention country with all of the necessary regulations, procedures, checks and balances in place. For those families who are considering inter-country adoption, and specifically adoption of a child from Africa, you may be interested in the Burkina Faso adoption program. 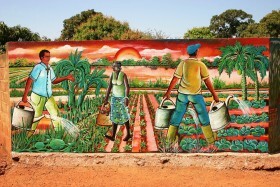 Burkina Faso, a landlocked country located in West Africa, is one of the poorest countries in the world. While the population is home to 18 million people, 65% of the population (roughly 11.7 million people) is under the age of 25. There are an estimated 800,000 orphaned children in Burkina Faso. As a result of pervasive poverty, disease (including HIV and AIDS), and a lack of basis social services, there is a great need among Burkinabe children to be given a safe, loving and permanent home. Burkina Faso is a party to the Hague Adoption Convention, unlike Ethiopia. Burkina Faso, as a signatory to the Hague Adoption Convention, will tend to be more stable and predictable in processing adoptions than a non-Hague country such as Ethiopia or the Democratic Republic of Congo. It is also more likely to have a procedure in place in the event that any changes need to be made. For prospective adoptive parents, this means a more manageable and predictable adoption process, accompanied by a greater sense of security and certainty as you make your way through that process. Burkina Faso is a nation that already has a great deal of previous experience and success in completing inter-country adoptions. Since implementing the Hague Adoption Convention, Burkina Faso has successfully placed children with families in the countries of France and Italy. This means that it has gained important experience as a country with regard to how to successfully complete an inter-country adoption. In Burkina Faso, adoptive parents may specify the age and gender of the child they wish to adopt, and the Central Authority in Burkina Faso then works to match children in need with adoptive parents waiting on referrals. Burkinabe officials take the matching of adoptive parents with those children in need of a forever family very seriously. MLJ Adoptions is one of the few U.S. adoption service providers approved by the Burkinabe Central Authority, Ministère de l’Action Sociale et de la Solidarité Nationale, to provide adoption services in Burkina Faso. We are approved to place children in the US and are currently working towards obtaining approval to place children in several Canadian provinces. MLJ works hard to maintain solid professional relationships with Burkinabe adoption officials, and to work in cooperation with them toward the ultimate goal of finding Burkinabe children their forever families.